Our technicians have 10 to 25 years of field service experience. We specialize in true professional technical services 24/7. Our technicians can get you up and running fast! We have more experience than most OEM technicians. If you need professional help fast, call us now! We offer operator and maintenance level training to help you increase your overall skill level on the shop floor. 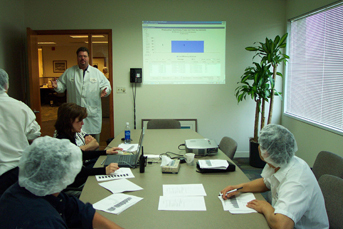 We offer classroom training and hands on with your equipment and products. We take the time to know your machines and products so we can help you develop your skilled personnel in the best and most efficient manner possible. Call us today to learn more about our many different training program approaches to help you determine which one is best for you. We offer complete and total preventive maintenance programs to help you and your maintenance personnel focus on making lines run better. In most companies, PMs are overlooked and equipment generally is not maintained properly. This causes maintenance departments to constantly be reacting to troubleshooting calls and fighting fires. Our goal is to keep your machines in PEAK℠ performing condition so you and your maintenance crew can focus on adding value to your business instead of fighting poorly maintained equipment. We are experts in helping companies reach higher levels of productivity. We can help you improve line speeds, efficiencies, and yields with one product or one machine to all your products and lines. Maximizing performance levels is a combination of improving operator skill levels and equipment condition as well as maximizing machine capabilities. Our customers are achieving productivity levels that far exceed their competition, enabling them to beat out their competition in terms of price and delivery while enjoying higher profit margins. Call us today to learn how we can help you reach PEAK℠ performance levels. We can support you with new and used equipment start-ups. We offer total installation and start-up services for all the used equipment we sell. We can also help you with your existing equipment and new product start-ups. We are often by our customer's side when they are starting-up a new line or product to ensure everything runs as smoothly as possible. Our goal during this process is to have a smooth start-up while also exceeding performance expectations in terms of quality, speed, efficiency, and yields. 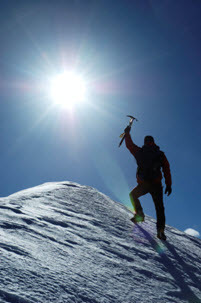 Reach the PEAK℠ of your OEE! We have developed a program to help you reach PEAK℠ performance levels and maximize your OEE. Our customers rely on us to make sure they are using every asset to its fullest in their packaging departments. 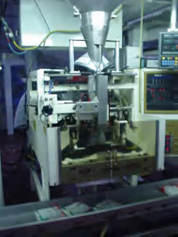 Because of our vast experience in many applications and knowledge of packaging equipment, we can get you to PEAK℠ OEE levels and keep you there. Call us today to learn more about this great program.